Since the Islamic Republic replaced US ally Mohammad Reza Shah Pahlavi’s despotic rule in 1979, unjustifiable hostility toward Iran persisted. Last year’s nuclear deal changed nothing. International sanctions ended. US ones largely remain in place, bipartisan congressional hardliners calling for more. Billions of dollars of Iranian assets remain frozen. Tehran is wrongfully blamed for regional terrorism and elsewhere. Congress earlier passed legislation authorizing Iranian assets be used to compensate victims of Israeli Mossad terrorism – wrongfully blamed on the Islamic Republic. In April 2016, the Supreme Court shamelessly ruled Tehran must pay families of victims and survivors nearly $2 billion in compensation – including victims of other attacks wrongfully linked to Iran. High crimes committed by America, NATO, Israel, Saudi Arabia and other regional rogue states go unpunished – Iran targeted to pay compensation to their victims. Injustice persists. Tehran is blocked from access to America’s international financial clearing system, its banks unable to use US dollars to conduct transactions. Why continued hostility after nearly 37 years? 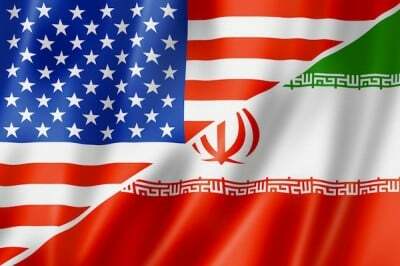 Sovereign Iranian independence frees it from US control. Washington and Israel want unchallenged regional dominance – pro-Western puppet regimes replacing independent or nonaligned countries. Imperial wars on Afghanistan, Iraq, Syria, Yemen and elsewhere aim to achieve this objective. Iran remains largely isolated, unjustly vilified, cited for nonexistent aggression and terrorism, criticized for its legitimate missile program solely for defense. Tehran hasn’t attacked or threatened another country throughout its entire history. America, NATO, Israel and their rogue allies wage perpetual wars of aggression. The power of AIPAC and Israeli lobby overall hugely influences US policy on Iran. In his must-read book, titled “The Power of Israel in the United States,” James Petras explains Israel’s longterm regional hegemonic objective. Its lobby influences US policy at the highest levels of government, the business community, academia, the clergy and mass media – building, maintaining, and assuring uncompromised US support for Israeli interests, even when harmful to America’s. Willful AIPAC misinformation about Iran being the leading state sponsor of terrorism sticks on Capitol Hill, emphasized by media scoundrels, US policy influenced by Big Lies. Tehran seeks mutual cooperation among all nations, regional peace and stability, abolition of nuclear weapons, Palestinians freed from repressive Israeli occupation, and normalized ties to the West. It wants and deserves to be treated like most other countries, a legitimate member of the world community, its sovereign independence respected. Instead, US/Israeli hostility persists. The latest blow involves Congress aiming to block Boeing’s sale of dozens of commercial aircraft to Iran – approved last week by majority House members, bipartisan Senate hardliners likely to approve undermining the deal. Measures block licensing Boeing (and pressuring Airbus) from trading freely with Iran – the Export-Import Bank and other international lending agencies prohibited from financing any entity doing business with Tehran. After implementation of last year’s nuclear deal, Republicans and hawkish Democrats vowed to obstruct normalized relations with Iran, wanting the nuclear deal rescinded, a flagrant violation of international law if approved by Congress and Obama’s successor – Clinton and Trump opposed to normalized US/Iranian relations. Sovereign independent Iran remains an obstacle to ending decades of US hostility – regime change its longstanding objective by color revolution or war. Nothing in prospect suggests responsible change.